This Avira Free Antivirus is the latest version of antivirus offered by Avira, which provides protection against viruses, and is completely free, sounds good, isn't it? Avira Free Antivirus offers a secure support against computer viruses for individual and private use, not commercial or business use. 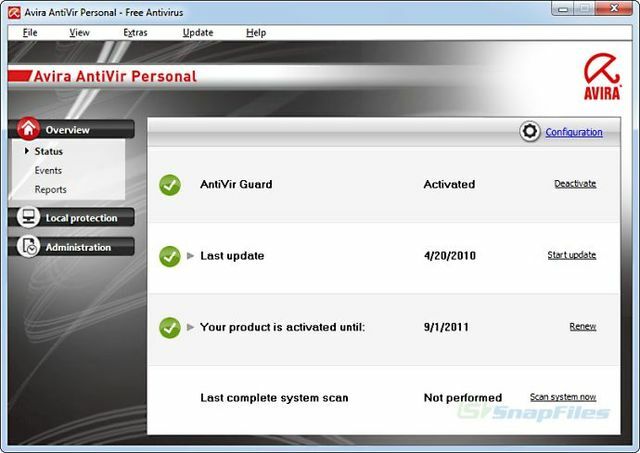 What's new in Avira Free Antivirus? - improved usability for user interaction. - OS: Windows XP, Windows Vista (32 bit and 64 bit), Windows 7 (32 bit and 64 bit), Windows 8, Windows 8.1, Windows 10.